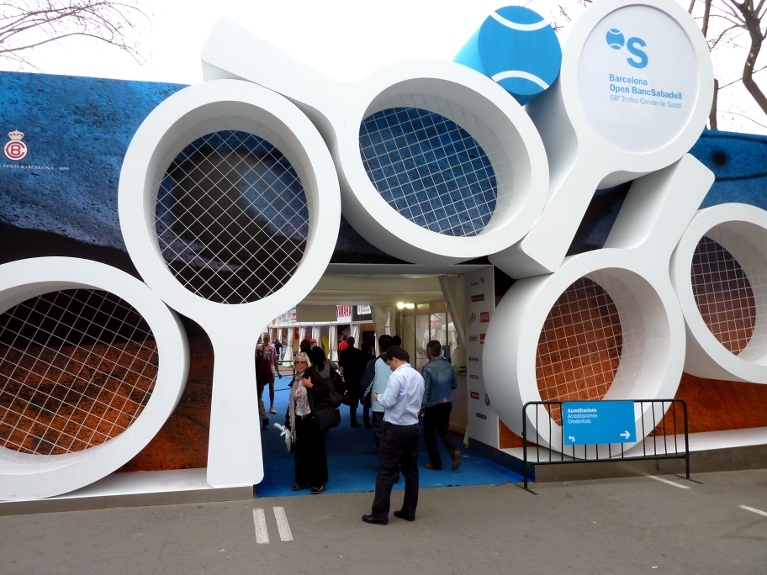 Our first 4 days in Barcelona were spent at the 2010 Barcelona Tennis Open at a tennis club. We stayed in a hotel right outside the train station and took bus 32 right to the stadium. If you click the image of Gasquet a tournament player slide show of the matches we watched will appear with the match results. We sent logs to the Albany Times Union Tennis Blog. If you click this scoreboard you will see our day one log of the event. If you click this scoreboard you will get day three activity. Verdasco beat Soderling in the final 6-3, 4-6, 6-3.